Do you think it could be done? 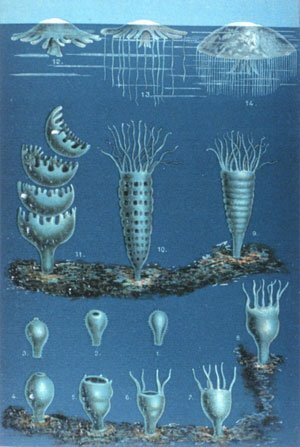 The immortal jellyfish or “turritopsis dohrnii” as it is known by its scientific name, is the only living creature capable of transforming back into its infant or polyp state. Because it can reverse its life cycle in this way, it is essentially immortal. 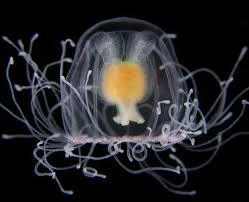 It is a tiny jelly, growing up to only 4.5 mm or .18 inches in width and height. 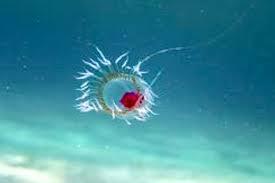 If the jelly, in its adult form, is threatened with death by starvation or dangerous change in its environment (a change in the saltiness of the ocean, for example) or even if its delicate bell-like body structure is cut or damaged, it can immediately start to change. The bell and tentacles of the adult jelly disintegrate and it becomes a tiny round polyp, a baby version of itself, again. From the polyp stage, it can once more develop into a mature, free-swimming immortal jellyfish. This process can happen again and again. In fact, this tiny jelly can be reborn indefinitely. 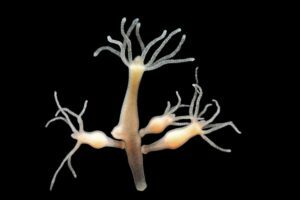 Scientists are now looking into ways in which this unique creature might help humans heal from serious injuries or be able to regenerate healthy tissue. The tiny turritopsis dohrnii is, indeed, an amazing beloved beast.